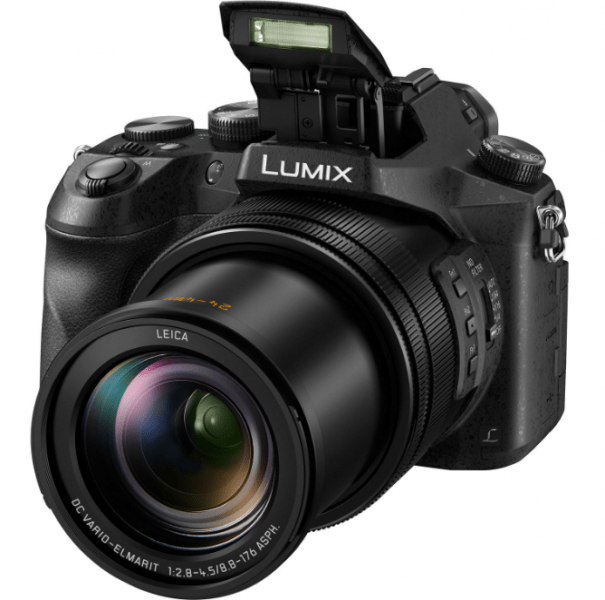 The Panasonic Lumix DMC-FZ2000 is the successor to the Lumix DMC-FZ1000 bridge camera and is an SLR-style bridge camera that boasts of excellent video capabilities. It comes with a 24-480mm lens that is equivalent to 20x zoom lens. This hybrid camera comes with features that are suitable for videos and stills, with the capability of shooting 4K video with no time limit. 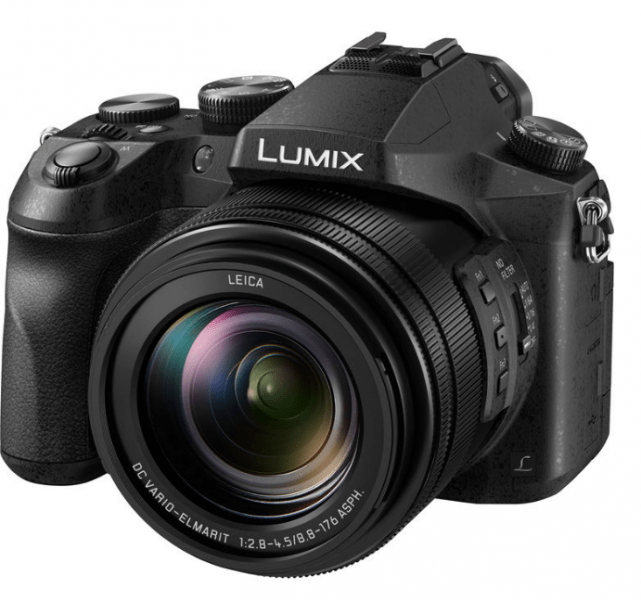 Also known as the Panasonic FZ2500, this super-zoom camera is also designed with a 20.1 MP 2-inch MOS sensor and a 2,359k OLED Live View Finder. 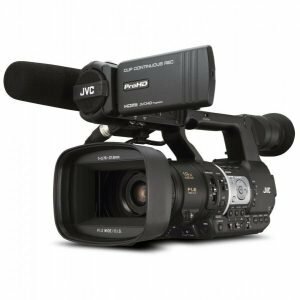 This powerful camera is also capable of video recording at 30/25/24 fps as well as extracting, from the 4K video, images at 8 megapixels. Although some bridge cameras a like DSLRs but inferior in quality, the FZ2000 also has a DSLR design but with excellent features. 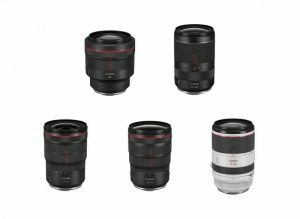 It comes with large external controls, such as the two rings for manual focus and zooming which are located around the lens barrel, twin electroninc dials situated on the top plate. Moreover, the top plate is also designed with a conventional exposure mode dial while found on the left shoulder of the camera is a drive mode dial and on the back, the focus mode switch is located. Interestingly, the focus area is touchscreen which can also be assigned to the d-pad. With most of the dials and buttons easily customized, ease-of-use is one of thebest characteristics of this camera. The handgrip is normal in size but along with the viewfinder and display, the device becomes a bit bulky. It also weighs less than a DSLR which makes it portable. The Panasonic LUMIX DMC-FZ2000 boasts of a Venus Engine processor, 1” MOS sensor with 20.1 MP, 20x zoom lens that is equatable to 24-480mm. It maximum aperture is f/2.8 and can reach up to f/4.5 with telephoto lens. 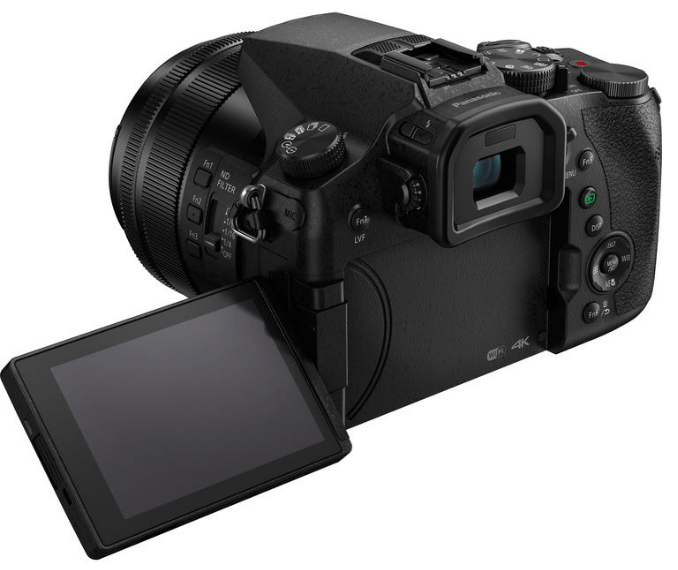 The FZ2000 also has 2,359k OLED Live View Finder, 3” Tilting LCD touchscreen at 1040k pixels, DCI 4K video recording capability at 30/25/24 fps. High speed video recording is at 120fps while headphone and 3.5mm microphone jacks can be used for audio recording. The LUMIX DMC-FZ2000 is also capable of highspeed burst shooting with an ISO range between 80 and 25600 at 12 fps using the mechanical shutter. Conversely, with the electronic shutter, it is at 50 fps. 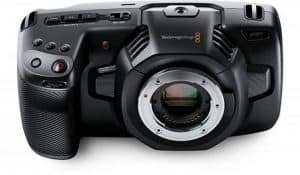 Other features of this hybrid bridge camera include dual zoom and control rings, 3cm macro shooting with Post Focus Stacking and Post Focus functions and WiFi connectivity. 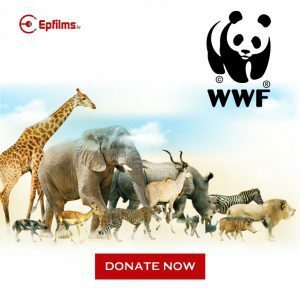 WiFi connectivity allows for remote shooting operations as well as file transfers, both videos and stills. With the standard 2.5mm remote socket the the electronic cable release, operation is quick and easy as well. 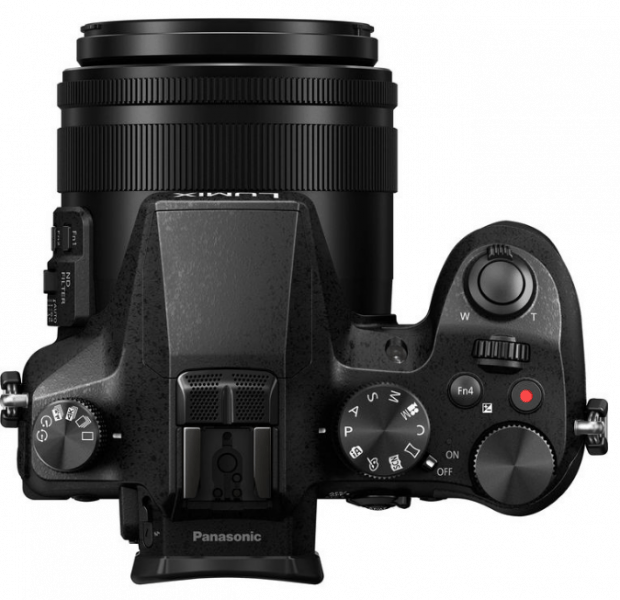 As for color modes, Panasonic has also added creative filters for JPEG images. 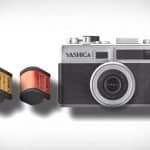 As for the lens, it comes with three built-in neutral density filters highly usable for larger aperture-shootings in bright light that can be controlled via a switch. Also, the FZ2000 can be set to engage the filters as required and there is also a 27mm screw thread to attach external filters to the lens. The 2.36 million-dot OLED electronic viewfinder is capable of 0.74x magnification and can be used with ease even by videographers wearing glasses because of the 20mm eyepoint. The tilting screen display, on the other hand, can be set at any angle for more suitable shooting. More importantly, it can be folded to serve as protection as well. One of the interesting features of the Panasonic Lumix DMC-FZ2000 is its ability to record videos with no time duration. 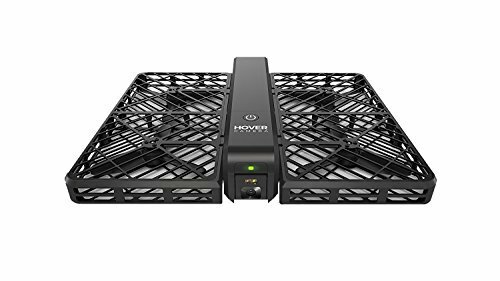 This makes the video capturing seamless and more manageable. As for the design of the body, its handgrip makes it more stable and a bit bulky that can be appealing to some. This model is also portable because of its weight. 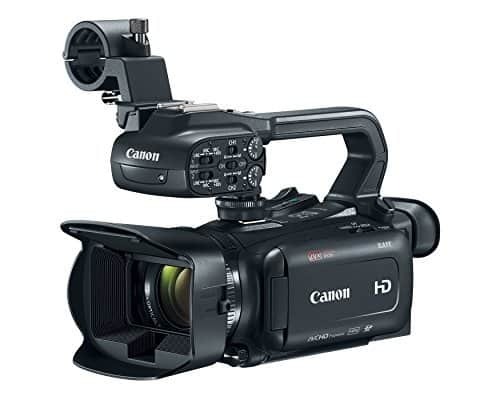 Its 4K video capability is also one of the best features of this model. It also sports a high resolution screen and it is touchscreen. This camera also boasts of 49 focus points to get better shots. The articulating LCD is also great for shooting from various angles. As for the cons of the FZ2000, it is a bit pricey with the average consumer not being able to afford this camera. It also does not have GPS and no Flash Sync port which are handy in some shooting scenarios. The Panasonic Lumix DMX FZ2000 bridge camera is relatively a great model which is apt for portrait and street photography. While it also has some flaws, this camera offers more great features than the less attractive ones.